Promo period: August 15 – September 30, 2011. Dupé, a Brazilian slippers brand known for providing practical, functional, and affordable slippers for Pinoys, invites you to photograph your everyday activities with Dupé and share this via the “Saan ang lakad mo kasama ang Dupé?” Facebook contest. 1) “Like” the Dupé Facebook page (www.facebook.com/dupePH). 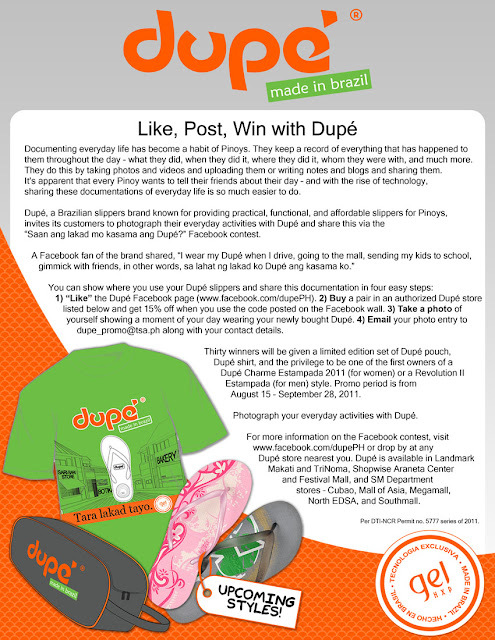 2) Buy a pair in an authorized Dupé store listed below and get 15% off when you use the code posted on the Facebook wall. 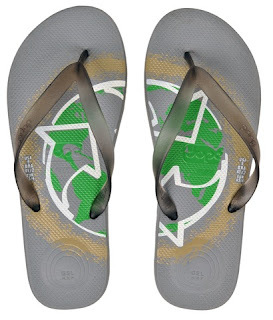 3) Take a photo of yourself showing a moment of your day wearing your newly bought Dupé. 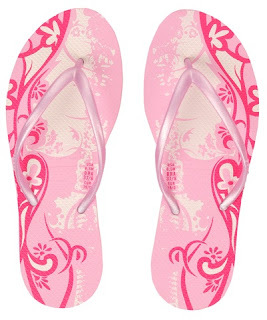 4) Email your photo entry to dupe_promo@tsa.ph along with your contact details. 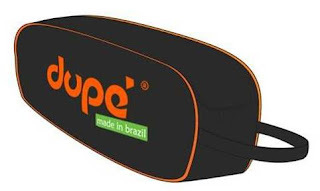 Thirty (30) winners will be given a limited edition set of Dupé pouch, Dupé shirt, and the privilege to be one of the first owners of a Dupé Charme Estampada 2011 (for women) or a Revolution II Estampada (for men) style. 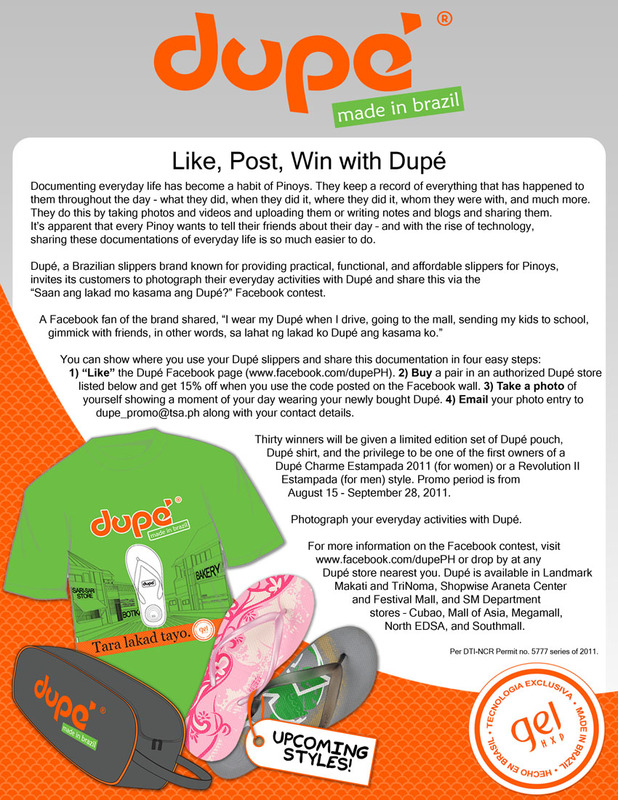 For more information on the Facebook contest, visit www.facebook.com/dupePH or drop by at any Dupé store nearest you. Dupé is available in Landmark Makati and TriNoma, Shopwise Araneta Center and Festival Mall, and SM Department stores – Cubao, Mall of Asia, Megamall, North EDSA, and Southmall.